Funeral services for Mrs. Jessie Bell Ladd of Americus, Georgia will be held on Monday, December 1, 2014 at 11:00 A.M. at the Big Bethel Baptist Church with Pastor Calvin Rollins officiating. Burial will follow at the Hill Cemetery. Mrs. Jessie Bell Ladd was born in Sumter County, Georgia on February 18, 1924 to the late Calvin and Mattie Barner. “Bell”, as she was called by family and friends, was educated in the Sumter County Public School System. In 1939 at the age of 15 she met and married Doss Ladd, Jr. He preceded her in death after 70 years of marriage. This union was blessed with five children: Jena Ladd, Loretta Daniels, Shirley Johnson, Johnny Ladd, Sr. and Ray Ladd, Sr.
“Bell” was a hard worker who loved giving to the church. Throughout her life she worked as a housekeeper for many years at the home of Gammage and Helen Shivers. She also worked at the Varsity Restaurant and Wood Grain Molding for many years before she retired. She was a member of the Eveready Club for a number of years where she held several positions. She was a very friendly person whose house was always open to everyone. She loved to cook for everybody, specializing in baking cakes for everyone that asked.She was also the neighborhood hairdresser. She was preceded in death by six siblings: John Brown, Essie Battle, J. W. Barner, Eddye Barner, Arthur Barner and Charles Barner. “Bell”died peacefully on Tuesday, November 25, 2014 at the Phoebe-Sumter Medical Center in Americus, Georgia. Left to cherish her memory are her children: Jena Ladd, Loretta (Felder) Daniels, all of Americus, Georgia, Shirley (Johnnie) Johnson, Johnny Ladd, Sr. all of Rochester, New York and Ray Ladd, Sr. of Americus, Georgia; one brother, Calvin Barner of Americus, Georgia; sixteen grandchildren, twenty-six great grandchildren and two great, great grandchildren. Memorial Services for Mr. Edd “Check” Cottle, Jr. of Americus, Georgia will be held on Friday, November 28, 2014 at 10:00 A.M. at Restoration Church of Americus with Pastor George Edge officiating. At birth Mr. Cottle was named Edd Cottle Jr. His parents Edd Cottle and Ophelia Russell Cottle love him dearly as this baby was the last child born to them. His big sister was the protector who kept him out of troubles. The two would watch cowboys and Indians on TV early Saturday morning. His sister names him Billy the kid from the TV show. As time goes on his nieces and nephews will call him Uncle Billy. While attending school in Sumter County, his name somehow stretched to Eddie Cottle Sr. 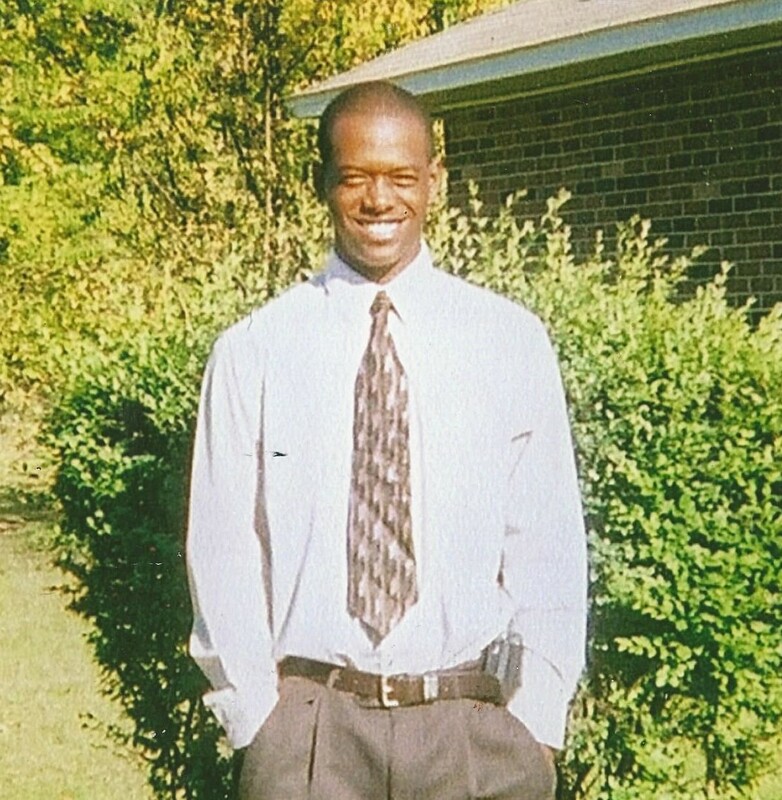 He received a Graduation Equivalency Diploma from the state of Alabama. He worked toward a Photography Certificate from South Georgia Technical College. After school he entered the US Army, October 25, 1972. Later he received an Honorable Discharge after a tour in Germany. Somewhere along the paths of time his name became Check, and now to some Mr. Check. He worked many jobs in Georgia, Florida and Michigan. All his memories have been entrusted to sisters: Eddye C Mitchell, Americus Georgia and Minnie Carolyn James, East Hartford Connecticut; nieces he loved as his own children: Sabrina Sharper, Ruecilla Sharper and Eden (Rory) Edge; nieces and nephews he loved and cherished; Sherrie James-Hawthorne, Langhorne Penn and Trevis James, East Hartford, Connecticut; nieces and nephews he grew up with; Ruthie Sharper, Americus, Georgia and Henry Gary, Tifton Georgia; An Aunt Tommie Linton, Jacksonville Georgia; step sisters: Lorene, Barbara, Katie and Gwen; several other great and great great nieces and nephews cousins, friends, traveling buddies and neighbors on Dudley Street. You could see him at times riding in his little red sports car, but he loved to walk to the post office and down town. He was a regular customer of Salvation Army Store, where he spent hours there when his steps got a little short he still tried. Most times he would not accept a ride when offered. He would say, “I can make it” other times he would call and say “can you get me from the post office; I can’t make it back home”. On Sunday November 23, 2014 he put his cap on the hook, his jewelry in the case, dropped his wallet, change and cigarettes in the draw, shoes by the bed, opened the door, sat down and said good-by to the world, knowing that God always knows your name. To our brother, Uncle, Nephew, Friend, GOOD NIGHT! 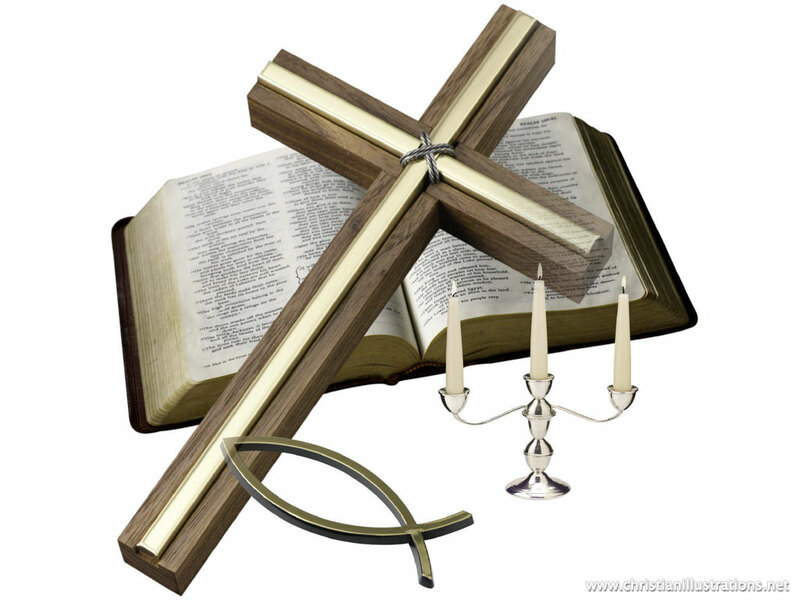 Funeral services for Mr. Edgar Allen Brown, III of Americus, GA will be held on Saturday, November 22, 2014 at 11:00 A.M. at the Friendship Baptist Church with Rev. Hosie Waters officiating. Burial will follow at the Green Grove Cemetery. Mr. Edgar Allen Brown III, affectionately called “Third” was born on November 30, 1987 in Smithville, GA to the parentage of Mr. Edgar Allen Brown, Jr. and Mrs. Faychal Lynette Rivers Brown. He attended the Americus City public schools. At an early age he believed that he would face numerous obstacles in life, therefore, he confessed Jesus Christ as his personal savior and joined the Green Grove Baptist Church in Smithville, GA, being baptized by Reverend Hosie Waters. He served on the Usher’s Ministry and attended Sunday School regularly as a young boy. He enjoyed spending weekends with his late Uncle Clyde, Auntie Delphine, and Cousin Mac McGrady. On Friday, November 14, 2014, he tragically passed away. He is preceded in death by his maternal grandparents, Mr. Elbert Wright and Ms. Mae Francis Rivers; his paternal grandparents, Mr. Edgar Allen Brown, Sr. and Mrs. Princella Green Brown. He leaves a legacy of love to cherish his memories-a daughter, Eiliyah Anika Brown; Smithville; his father, Mr. Edgar Allen Brown, Jr. and his mother, Mrs. Faychal Rivers Brown, Americus; stepfather, Mr. Sammie Snead, Albany; three sisters, Ms. Tanneisha Y. Brown, Americus; Ms. Latonza T. Brown, Smithville; and Ms. Tianna L. Brown, Capital Heights, Maryland; one brother, Mr. Eldrick A. Brown, Americus-Aunts, Ms. Marynell Brown Poole, Americus; Mrs. Debra (Keith) Brown, Columbus; and Ms. Evelyn Wright, Atlanta-Uncles, Mr. Derrick T. (Pamela) Smith; Americus; Mr. James D. Brown and Mr. Simon B. Brown, Americus; Mr. Earl (Teresa) Wright and Mr. Dontae Wright, Atlanta-Great Aunts, Dr. Delphine B. McGrady, Mrs. Emma Rivers (Andrew) Covin, Mrs. Vera Rivers, Mrs. Emma Wright (Nathaniel) Greene, Mrs. Dollie Wright Morgan, Mrs. Gloria Wright Chandler, Mrs. Annie Wright Perry, Ms. Rosie Wright, Mrs. Meritta Wright (Oliver) Jones, Mrs. Darlene Wright (Horace) Coleman, Ms Marlene Green, Ms. Mattie Burton, Ms. Donna Bush French-Great Uncles, Mr. David W. (Ilean) Bady, Mr. Willie R. (Cheryl) Bady, Deacon Emory (Robbie) Wright, Mr. Leonard Wright, Mr. Robert Baker, Jr., one niece, three nephews, a special friend, Mr. Galvin McCoy, a multitude of cousins, other relatives, and a plethora of friends. 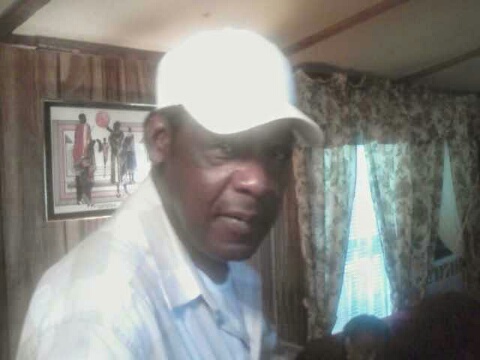 Funeral services for Mr. Robert “Bo” Griffin of Americus, Georgia will be held on Monday, November 17, 2014 at 11:00 A.M. at Union Tabernacle Baptist Church in Americus, Georgia with Rev. Larry B. Sims officiating. Burial will follow at Staley Memorial Gardens. Mr. Robert “Bo” Griffin was born August 2, 1945 to the parentage of the late Mr. Roswell Griffin and MS. Mae Julia Williams. He was educated in public schools of Marion County. He was a member of Union Tabernacle Baptist Church. “Bo” worked 52 years with Warren Scott Construction Company. He was preceded in death by his parents and a sister Mary Whitehead. Bo died peacefully at his home surrounded by his family on Monday, November 10, 2014. He leaves to mourn his passing his wife Mattie Griffin of Americus, GA; nine children: Robert and Tiayana Smith of Utica, New York, Kelvin and Marie Griffin of Lancaster, PA. Dorothy and Calvin Parker of Hiram GA, David and Sally Smith of Americus, Georgia, Timothy and Wilhemina Smith of Fort Pierce, FL, Alvin and Shirley Smith of Sumter City, GA, Debra Smith of Toledo, Ohio, Annie Ruth Mathis and James Arthur Mathis both of Americus GA; two sisters: Mattie Griffin of Chicago, IL and Lou B Smith of Americus, GA; three brothers: Willie and Gloria Griffin of Cordele, GA, Lester Bailey and Jester Bailey of Miami, FL., three brothers-in-law; Sam Rufus Sims, George Sims and Eugene Sims all of Plains, GA; a devoted aunt Ruby Campbell of Preston GA; a devoted nephew and niece Timothy and Sharon Johnson; several devoted friends including: Claude Dodson, Jo Jenkins, Rob Sims, Curly Jackson and Cannonball Jones; 32 grandchildren and a host of great grandchildren, nieces, nephews, uncles, aunts and friends also survive.